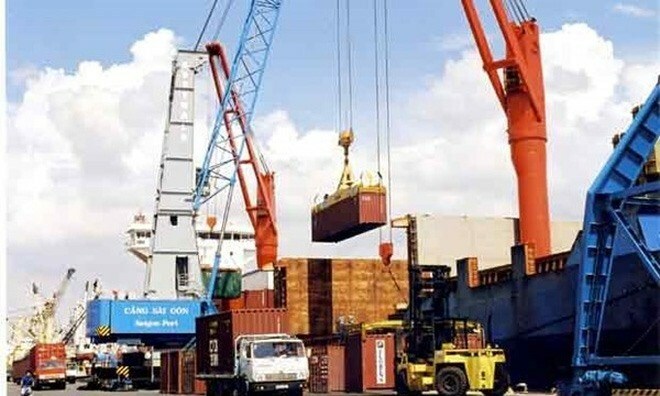 Hanoi (VNA) - Vietnam’s economy is well positioned for growth in international trade and will continue to experience high growth over the next three to five years, said Chief Executive Officer (CEO) of HSBC Vietnam, Pham Hong Hai. Hai made the statement during an HSBC Annual Business event themed “Step into the Future”, updating marketplace information and discussing Vietnam’s economic prospects. “We are bullish for Vietnam’s economic growth in the short to medium term and cautiously optimistic for the long term as it is dependent on the progress of our economic reforms,” Hai said. “Reform is the only option and we do not have much time,” he said, adding that Vietnam’s engagement in key regional initiatives like the ASEAN Economic Community (AEC), the Regional Comprehensive Economic Partnership (RCEP), and EU-Vietnam FTA helps to accelerate the reform process. Vietnam’s economy is likely to grow by only 6 percent this year, HSBC said in its latest report, revising its previous forecast down from 6.4 percent. The country’s GDP grew 6.2 percent in the second quarter, driven by gains in both the industrial and service sectors. This was higher than HSBC’s forecast of 5.9 percent, but the bank has still reined in its 2017 growth forecast due to the country’s sluggish first quarter. The credit growth rate reached 7.54 percent at the end of June. In early July, the State Bank of Vietnam (SBV) reduced its lending interest rate by 0.25 percent to 6.25 percent for the first time in three years to boost economic growth, as Vietnamese companies still rely heavily on bank loans. “We do not expect any further easing by the SBV this year,” Hai said. Foreign direct investment (FDI) in the first six months was estimated at 7.7 billion USD, up 6.5 percent over the same period of 2016. The manufacturing industry attracted 66.7 percent of total foreign investment, followed by the mining sector at 10.6 percent. “With new factories commencing operation this year, we expect FDI to drive further gains in Vietnam’s global export market share”, Hai said. Forecasting the trend of global economic growth, Douglas Lippoldt, Chief Trade Economist at HSBC Global Research, said there were signs that the global trade situation is improving. Most of Vietnam’s top 10 export markets, including the US, China, Japan and the Republic of Korea, are expected to improve in the 2017-2018 period, compared to 2016, Lippoldt said. Increasing import demand in these leading markets would offer plenty of opportunities for Vietnam, he added.